Fast, Reliable, Accurate Home Inspection Reports.......We are Investors Preferred Local Inspectors. We Understand Customer Service! We Work for You! It's Our Job to Personally Walk You Through Each Step of the Inspection Process! If you cannot attend the inspection that's OK! You can call or email us and we promise to go over the details so that you have a clear understanding of the report and the status of the property prior to closing. 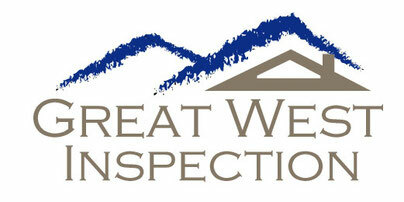 Great West Inspection was founded by Jim Metcalf in May of 1995. His mission is to educate his clients about home safety, building techniques and energy concerns prior to the purchase of the property. Mr. Metcalf always encourages and invites prospective customers to participate in the inspection process. Mr. Metcalf's company has performed over 12,000 home inspections. Jim may be reached at 209-658-5066.
the smartest choice for you! gas ventilation, furnaces and so on. # 2 We utilize Infrared Technology during the inspection when needed and are certified. Many inspectors advertise that they have a infrared camera but are not certified to use infrared and may misread or improperly diagnose what they see. Infrared processing is simular to reading an MRI. "Delta T"
must be properly achieved in order for proper sampling.....See our Infrared Page. # 3 Ninety five percent of our reports are completed and emailed to our customers within 24-48 hours, other companies may take more than two days to send out the report upon completion. # 4 We work for you. If you can attend the inspection we walk you through the details of the report so that you have a clear understanding of the status of the property. We realize that it is not always possible to be at your home inspection, that is why we designed our Narrative/Checklist report. This report will walk you through a step by step checklist of the various components inside and outside of the house from top to bottom. Plus we welcome all follow up emails or phone calls. All of Our Inspections meet or exceed ASHII and CREIA Standards. Mr. Metcalf has over Twenty Four years in the residential and commercial inspection industry and thirty years of construction experience. Note: 24 Hours of acceptable Continuing Education Hours (CE Hours) per year are required to maintain Full InterNACHI Membership. Continuing education claimed must be posted to the Online InterNACHI Members Continuing Education Log.